No two ways about it, Common Core has baffled both teacher and parent when it comes to finding time to teach all those standards. New focus is placed more on reading and math but less on life skills like teaching a child to tie their shoes. Why? There just isn’t enough time to teach those basic life skills and standards during a regular school day. More parents are surprised by the expectations given to their child from local school districts at the start of Kindregarten in those subject areas of reading and math. How can you keep from getting that deer in the headlights look? Better yet, how can you prepare your child for their first year of school?? 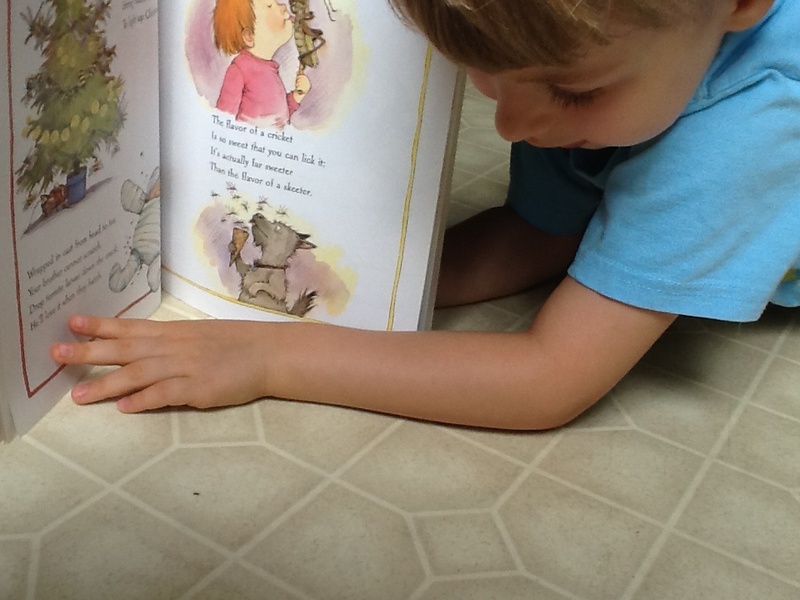 I’ve put together a list of strategies that help target beginning levels of Kindergarten reading language. Your Prekinder can start pointing and/or labeling some of these before Kindergarten. “Point to..” one letter, one word Kinders are tested on knowledge of the difference between a word and a letter in this way. The test is to determine if your child correlates that letters form words. opening the book to read from left to right and turning pages to read in a forward direction. knowing where to start reading on the page. knowing to use a return sweep when he/she comes to the end of the line. Your child should begin learning how to point to each word as they read and drop to the next line at the end of the line they are reading to continue on. I hope this helps take some of the guess work out of what to expect in Kindergarten with print concepts!! 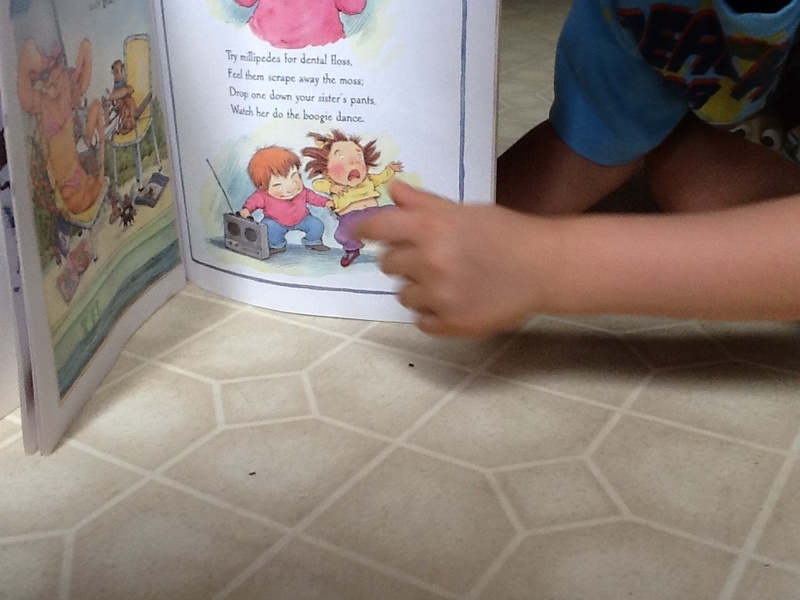 I’ll be posting more on “What to expect in Kindergarten with common core reading comprehension.” Check back soon! My son is 4 almost 5 yrs. old here. He has yet to learn to read in these pictures. 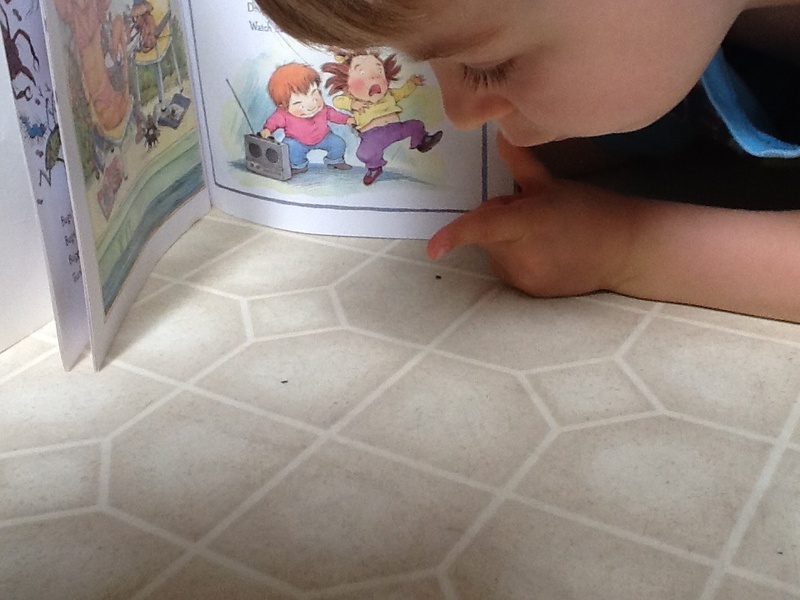 However, he LOVES ants and is pretending to read to one! Posted on September 14, 2015 September 17, 2015 Author TheafterschoolhouseCategories What To Expect..Kindergarten Common Core Reading.